Aside from the common sparrows, blue jays and cardinals, the experts say there are 429 species of birds in Iowa. 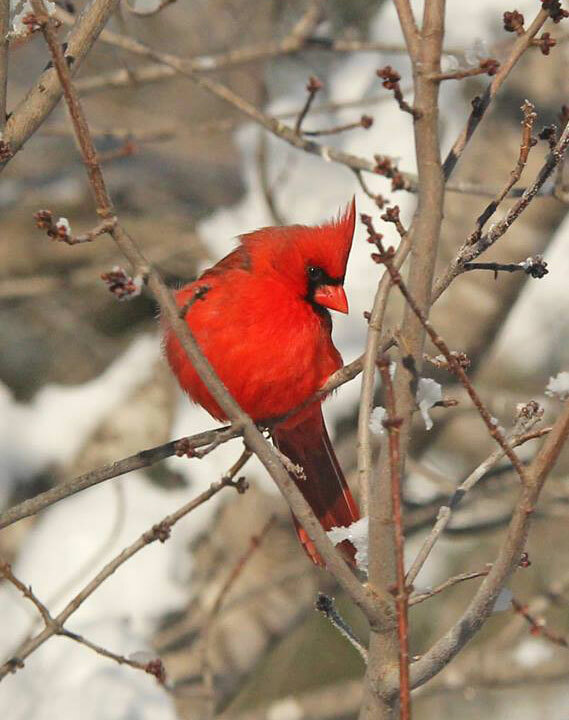 If you’d like to attract a few more to your back yard during the wintertime, biologist Ryan Brady suggests making your feeder more attractive to your feathered friends. Brady says the best bird seed you can put out is black sunflower seeds. “It’s fairly inexpensive, it works for a lot of different species and it has a high fat content,” Brady says, “so it’s good for the birds.” Brady says you should also be sure to find some cover for the birds that’s close enough to the feeder for them to hide from predators. “Shrubbery that’s going to have a lot of thick branches, provide some cover from the elements,” Brady says. 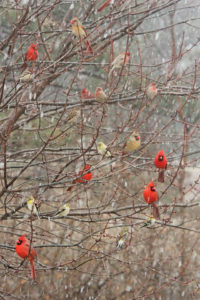 “Evergreens or conifers are excellent, so maybe plant a spruce or a fir.” If it’s impractical to place a shrub near your bird feeder, consider creating other cover like a brush pile. “Maybe branches or other clippings that you have cut around your yard to spruce things up, instead of discarding them, make a pile of them off in the corner of your yard or property, maybe near the feeding station,” Brady says. 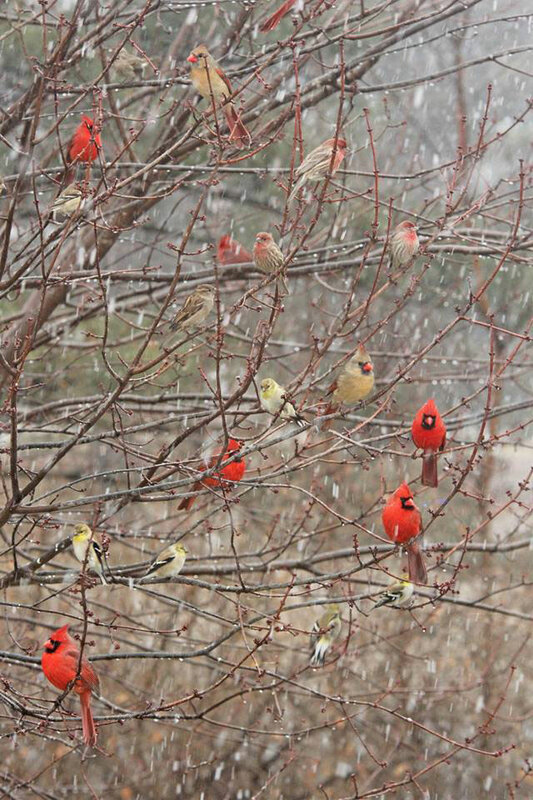 If you have a live Christmas tree that you’ll soon be taking down, place that next to your feeder to provide songbirds protection from birds of prey and from the elements.